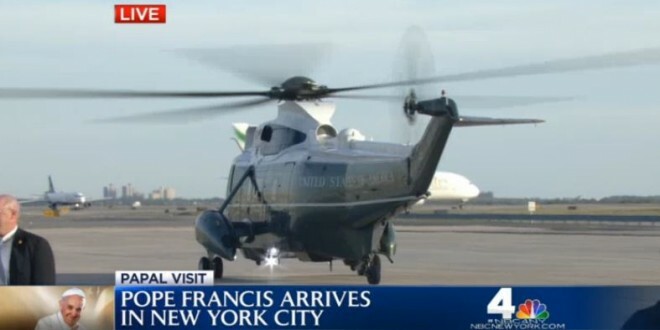 LIVE VIDEO: Pope Motorcades Through Manhattan - Joe.My.God. Pope Francis is just landing at an East River helipad for his motorcade through Manhattan to St. Patrick’s Cathedral on Fifth Avenue. It’s a short ride but the security presence is the most massive ever seen in New York City.